Dr. Ritchie C. Shoemaker has appeared on numerous television programs, including Good Morning America, BBC, NBC News, CBS News, the Discovery Health Channel and CNN. 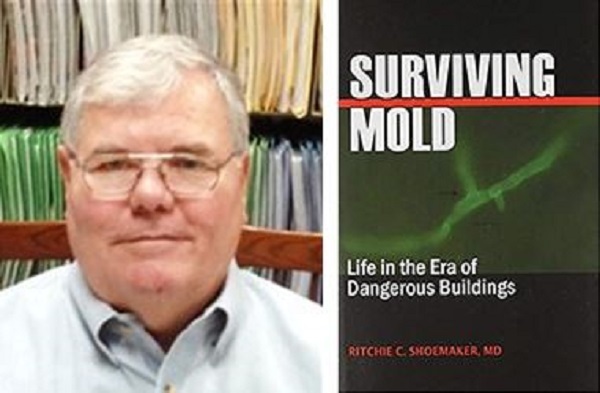 POCOMOKE CITY, MD, February 25, 2019 — Marquis Who's Who, the world's premier publisher of biographical profiles, is proud to present Ritchie C. Shoemaker, MD, with the Albert Nelson Marquis Lifetime Achievement Award. An accomplished listee, Dr. Shoemaker celebrates many years' experience in his professional network, and has been noted for achievements, leadership qualities, and the credentials and successes he has accrued in his field. As in all Marquis Who's Who biographical volumes, individuals profiled are selected on the basis of current reference value. Factors such as position, noteworthy accomplishments, visibility, and prominence in a field are all taken into account during the selection process. For many years, Dr. Shoemaker excelled in the field of medicine before he retired from the Chronic Fatigue Center in 2012. Today, he works as a medical director for both the Center for Research on Biotoxin Associated Illnesses and ProgeneDx. He serves the same role as well for Surviving Mold, an organization he developed along with a family that was medically-affected by exposure to water-damaged buildings (WDB). He also consults in the WDB field. His entry into the world of water-damaged buildings (WDB) began with his company from the 1980's, Historic Remodelers of the Lower Eastern Shore. He lectures often on adverse human health effects caused by exposure to WDB; He has coined the phrase “chronic inflammatory response syndrome, (CIRS)” which touches on how mold exposure causes chronic, multisystem, fatigue-based, inflammatory disorders. In 2017, he was awarded a patent for diagnosis and treatment of CIRS. Additionally, he has conducted a study on grey matter nuclear atrophy in the brain and how inflammation affects the brain. He has taught students from at Johns Hopkins Medical School, the University of Maryland Medical School and Milton Hershey Medical School, in addition to practicing physicians. An expert in his field, Dr. Shoemaker holds a Bachelor of Science and a Doctor of Medicine from Duke University. Utilizing his expertise in the industry, he has authored eleven books such as “Lose the Weight You Hate,” “Mold Warriors,” “Surviving Mold: Life in the Era of Dangerous Buildings,” and “A Primer in Transcriptomics.” He has appeared on numerous television programs, including Good Morning America, BBC, NBC News, CBS News, the Discovery Health Channel and CNN. A hard working and dedicated professional, Dr. Shoemaker has spoken at a plethora conferences over the years including such institutions as the American Society of Microbiology, the American Psychiatric Association, and the American Society of Tropical Medicine and Hygiene. For his outstanding accomplishments, he was named a Rising Star through the Maryland Medical Society; he earned the Family Practice Physician of the Year Award (2000) and the Dr. Henry P. and M. Page Laughlin Award. Without the support of his wife JoAnn, daughter Sally and long-term assistant Debbie Waidner, Dr. Shoemaker would not be where he is today. In the near future, Dr. Shoemaker intends to enjoy spending time with his family and working on behalf of Surviving Mold to better the lives of those that have been affected by the harmful effects of water damage. For more information, please visit www.survivingmold.com. In recognition of outstanding contributions to his profession and the Marquis Who's Who community, Ritchie C. Shoemaker, MD, has been featured on the Albert Nelson Marquis Lifetime Achievement website. Please visit www.ltachievers.com for more information about this honor.